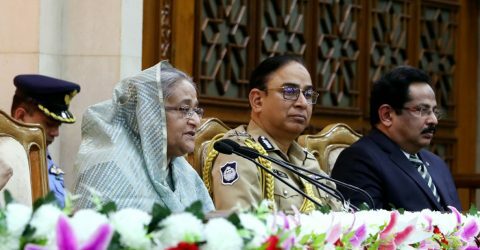 DHAKA – Reiterating her government’s firm stance against corruption, Prime Minister Sheikh Hasina today said the government will continue its fight against graft to keep up the country’s development spree and uphold its achievements. Asking the public servants to give more labour for the country’s development, the prime minister said: “All will have to work hard and this labour will be an achievement of the people who are our near and dear ones”. 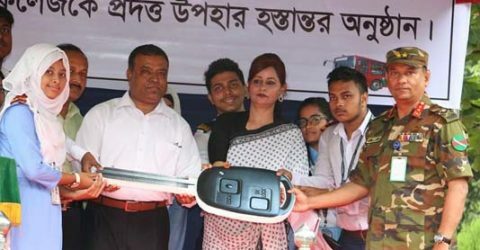 “We want to build Bangladesh as a developed and prosperous nation…we have already got the recognition of the developing country and this achievement will have to be retained,” she said. 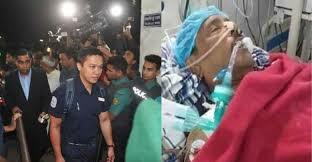 Extending thanks to the government officials for their cooperation, Sheikh Hasina said whenever her government came to power, it received sincere cooperation of the public servants. “We were able to complete all the development works fast due to cooperation of all government officials and thus advanced the country rapidly,” she said. 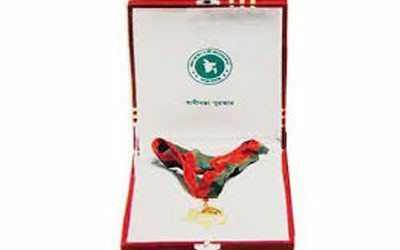 Stressing the need for making the country self-reliant in all fields, the premier said Bangladesh will have to move keeping pace with the world. couldn’t tolerate it,” she said. “From that time, I took a vow that none can undermine us. We earned independence through the liberation war and we will move keeping our head high,” she said. The prime minister said those who grabbed power illegally after 1975 did not think of serving the people. 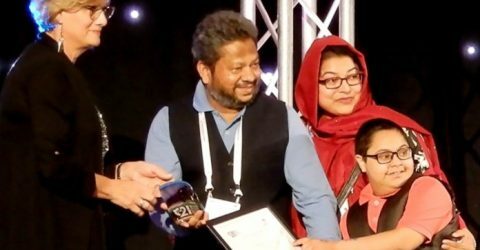 “But as a political party, the Awami League think of how much work we could do for the people and whatever we did for them was because of that thinking,” she said. 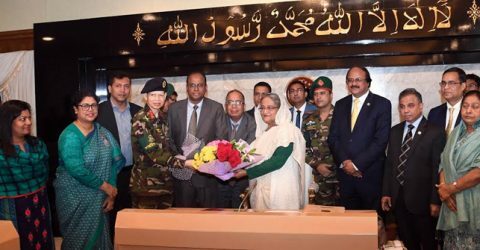 Sheikh Hasina directed the government officials to complete the ongoing development projects fast and said that she will start visiting the ministries soon like her previous tenures to infuse further dynamism into their work. The prime minister also reiterated her determination to make Bangladesh a middle income country by 2021 and a developed and prosperous one by 2041. 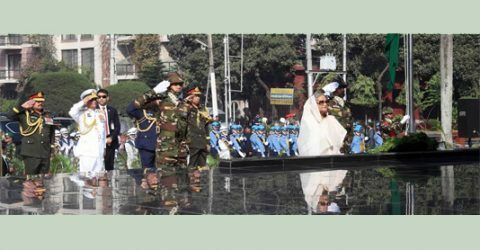 She asked the officials to take massive preparations to celebrate the Mujib Barsho in 2020-2021 in a befitting manner and conduct campaign massively in this regard. 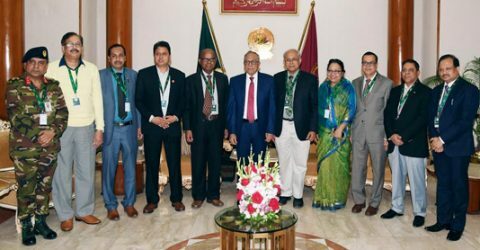 PM’s Advisers HT Imam, Dr Moshiur Rahman, Dr Towfik-e-Elahi Chowdhury and Major General (retd) Tarique Ahmed Siddiq and Principal Coordinator on the SDG Affairs at the PMO Md Abul Kalam Azad also spoke at the function moderated by PM’s Principal Secretary Md Nojibur Rahman. Earlier, the advisers and officials of different wings of the PMO, including PM’s principal secretary, military secretary, PMO secretary, press secretary, director general of the SSF and other directors general greeted the prime minister by presenting her with bouquets separately.